In this article, I will present egalitarian communities, mainly Acorn community in Virginia, to examine whether the postcapitalist mode of production in the physical world can be introduced by establishing intentional communities. It should be noted that the opinions presented here are not necessary those of the founders or members of the community where I have done research. I interpret my findings with regard to their significance for this economic change and their reflection on the postcapitalist mode of production. Acorn community does not define itself as a peer production project so the following analysis is not an evaluation of the implementation of peer production theory into practice. It is instead an extrapolation from the practice to how peer production organizations in the physical world could operate in the current system and in the future. The term peer production refers to various ways of organizing production that are distinct from the state and market logics. The main characteristics of this form of production are: 1) Self-selected spontaneous contribution of participants in the production process;1 2) creation of use value rather than exchange or market value, which results in free access to public goods;2 3) non-delegation and distributed coordination, in contrast to hierarchical state and market providers. While much is known about peer production in the domain of creative and intellectual work – both of which require a high level of intrinsic motivation – it is not obvious that physical work could be organized in this way.3 In this article, I will examine how these principles can be translated in production in the physical world. What kind of adjustments are needed to make this logic happen in the current capitalist system? What are the chances of expanding the model of peer production through a strategy of self-organizing from below? In this article, I will analyze one element of peer production in Acorn community, namely the self-selected spontaneous contribution of participants. What are the consequences of organizing work as voluntary, spontaneous involvement, and freely chosen self-selection? An intentional community is usually exclusive in some way. One can only become a member of Acorn after a one-year trial period, for instance. Besides that, even if a community has a very inclusive policy regarding membership, as is the case in Longo Mai (a network of European intentional communities, similar to Acorn) where one can simply drop in and stay, being a live-in member of an intentional community requires a radical change in one’s lifestyle and often requires moving to a remote place, which is not an option for all. Most of the communities host visitors who can contribute to the work of the community without permanently changing their lives. However, one cannot simply drop by at Acorn or East Wind or Twin Oaks. Contrary to online production projects, physical world production imposes a certain degree of exclusivity by its nature. Especially when the working and living spaces are merged, allowing spontaneous contributions from a broader community seems difficult. Considerations for safety and the personal well-being of community members may impose exclusionary practices. Acorn community has low tolerance for loud people (according to an interviewee) and those unable to respect the personal space of members (BB’s post on their blog that cannot be retrieved anymore). If someone is unable to work for an extended period of time without a clear reason (such as a medical condition) it can lead to upset and resentment on the part of other members. People who have not worked have often decided to leave without being expelled. While currently it is difficult to implement peer production logic in the physical world, the question can be posed whether inside the boundaries of an intentional community it is possible to organize production so that it is based on voluntary, spontaneous involvement, and freely chosen self-selection. Acorn does not have many regulations regarding work involvement. The community agrees that currently members should work 42 hours per week on average. However, the actual number of hours worked are not carefully tracked or recorded and individual members are free to choose from a very broad collection of work areas to satisfy their labor obligation to the community. 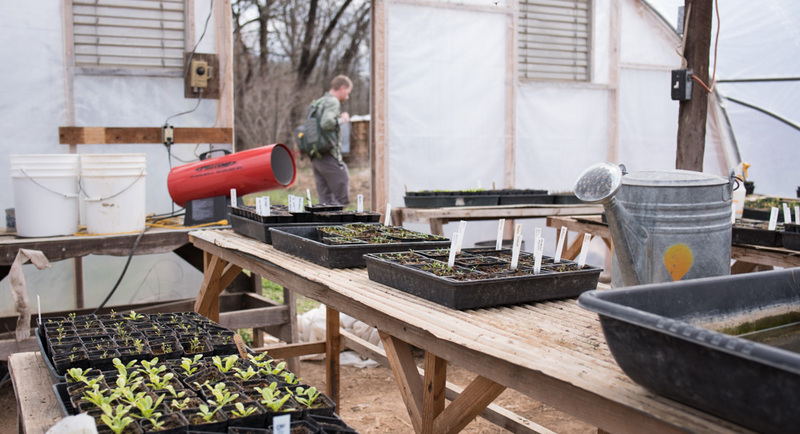 Acorn’s seed business and agricultural work have their own seasonal rhythm and members adjust their schedules to accommodate the needs of the business and the garden. The definition of work within the community, which evolves through long term community conversation, also determines the range of activities that can be undertaken as work. For instance, one of the interviewees wanted such activities as riding a bike (and thus saving fuel) or artistic creation to be counted in the labor quota. Some of the interviewees took the 42-hour work week seriously and resented those who do not do the quota, whereas some others saw the labor quota as a flexible measure for orientation only. Some members I have interviewed did not support the labor quota concept at all and many defined the ideal amount of working hours to be thirty hours per week. So while a frame for work is defined (the 42 hours per week labor quota and what is considered to be work) a spontaneous, self-chosen contribution is possible within this requirement. More on the labor quota at Acorn can be read here: http://funologist.org/2013/04/28/tell-him-it-is-labor-creditable/ . Usually members undertake a couple of projects to which they are committed and the rest of the working time, they help out with the projects of others. Some tasks are announced by a person in charge of a project to which everyone can contribute spontaneously, such as preparing seeds for shipping or weeding in the garden. There is a dry erase white board where domestic tasks like cooking or cleaning can be signed up for in a weekly chart. Many of my interviewees enjoyed the time flexibility at Acorn a lot. Office work, for instance, can be pursued in a fragmented way. Some like to start working in the seed office very early in the morning and some prefer working in the evening. In this way, a lot of work in the community is organized in a decentralized system composed of short blocks of time on which contributors work at a chosen time. This is considered to be a particularly inclusive way of organizing production according to the peer production theorists.4There are some constraints to the spontaneity of involvement that are imposed, for instance, by the dates of events that the business attends or by deadlines for shipping. Taking care of animals also imposes certain time schedules. However, even business tasks that impose time schedules are completed in a voluntary and spontaneous way. The personality of a (self-appointed) project leader may define the inclusivity of participation. For instance, I liked to do prep work in the kitchen as my work contribution but not every cook would want me to help and I would not want to work with every cook. These little differences cannot be regulated. Some of the interviewees observed that some people once they decide to work in a certain area do not want to include others in their work. For example, the seed storage is organized in a way that is difficult for others to understand. The person in charge has been involved in this domain for a long time and knows it very well. It is also knowledge that is difficult to transfer quickly because of the huge number of varieties stocked by the business. Expertise and finding one’s way takes its time and can be discouraging for the newcomers. One of the interviewees found it challenging at first to find her areas of activity. Before joining Acorn, she was employed in a very structured working environment. It took her one year to define her contribution to the community, learn to be an active member, and pursue her interests within the labor quota. Two newcomers still were not self-confident in their work contribution and in taking initiative after their first six months. One of them meets regularly with a more experienced member to get coaching. A welcoming atmosphere and tolerance for mistakes constitute community culture at Acorn. One can acquire various skills being in the community and perfection is not expected. For instance, another member mentioned that it [gender-neutral form chosen by the interviewee] did not know how to cook when it came to the community but it wanted to work as one of the cooks. Other members complained when they did not like its cooking but it continued to cook and learned from others to improve. This exemplifies a different relation between consumer and producer than in the employment system. It seems for this that if the peer production model were a dominant one, we would have less quality assurance but more voice in the production process. To recap: the organization of work and production as a spontaneous voluntary contribution is possible within an intentional community and is practiced at Acorn. The labor quota and the resentments towards free-riders limit the true spontaneity in the contributed work. Similarly to digital peer production, the inclusiveness may be limited in some aspects of production that require expertise and experience. Another limiting factor may be the personality of some of the co-producers. If this organization were to be generalized in the physical world on a wider scale, it would require a culture of understanding and patience on the side of consumers so that peers can learn by doing. Whether labor quotas are necessary is not evident and needs further testing. 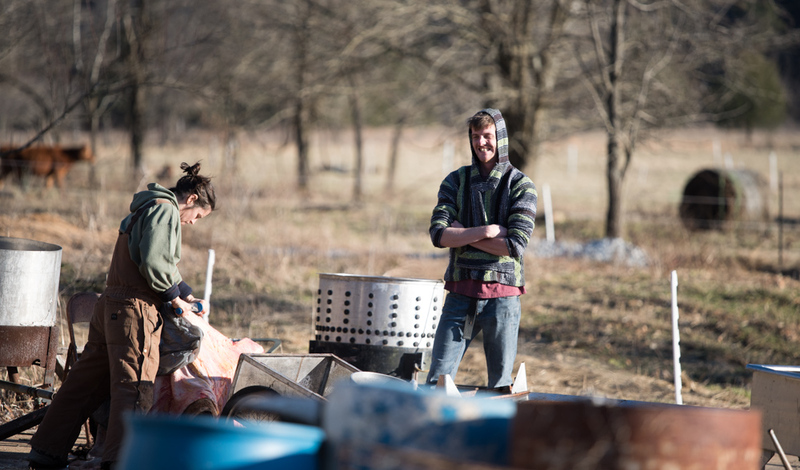 Acorn community is a farm based, anarchist, secular, egalitarian community of around 32 folks, based in Mineral, Virginia. 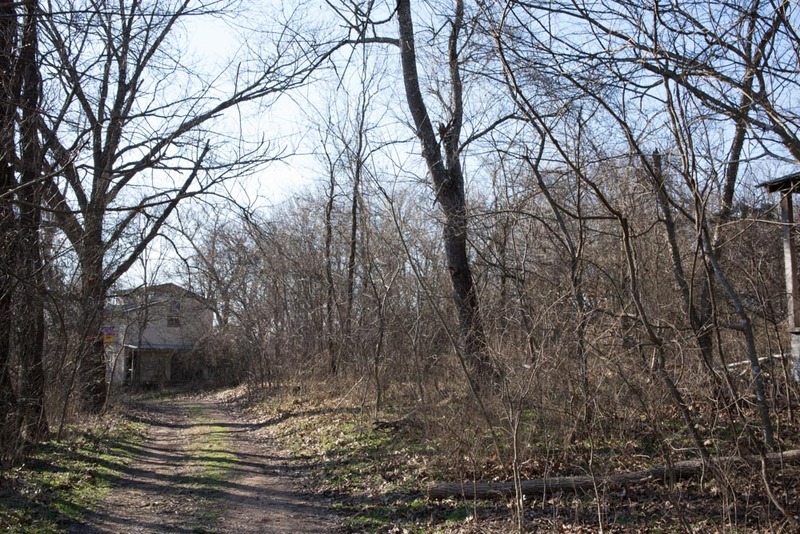 It was founded in 1993 by former members of neighboring Twin Oaks community. To make their living, they operate an heirloom and organic seed business, Southern Exposure Seed Exchange (“SESE”) (http://www.southernexposure.com/about-us-ezp-18.html ), which tests seeds in the local climate and provides customers with advice on growing their own plants and reproducing seeds. Acorn is affiliated to the Federation of Egalitarian Communities (http://thefec.org/ ), a US network of intentional communities that commit to holding in common their land, labor, resources, and income among community members. I spent three weeks in August 2014 at Acorn community in Virginia where I conducted interviews with 15 inhabitants of this community (accounting for about half of the membership). The interviews will be used in my book analyzing a scenario of a postcapitalist mode of production from a personal perspective. It will be published in Creative Commons license. My research trip has been co-financed by a Goteo crowdfunding campaign. Some inspiration comes from four public meetings with a member of East Wind community (http://eastwind.org/ ), which I organized in October 2014, in Strasbourg, France. In total, 47 people participated in these events. I would like to thank my interviewees, Couchsurfing hosts, and Acorn community for their hospitality and their time. The following people have contributed to the Goteo crowdfunding campaign: pixocode, Daycoin Project, Olivier, Paul Wuersig, María, Julian Canaves. I would like to express my gratitude to these and eight other co-financers. I would like to thank for the editing and suggestions from Paxus Calta (http://funologist.org) and GPaul Blundell, both from Acorn community. Katarzyna Gajewska is an independent (unpaid) writer and social activist. In her book in progress, she explores potential psychological consequences of transformation towards a postcapitalist mode of production in the physical world. Formerly an academic (precarious) researcher, she builds upon her scientific background in industrial relations and political science and incorporates other lenses in the analysis of a scenario of a potential future. She focuses on personal and daily life in order to stimulate collective imagination and democratic debate. 1Don Tapscott and Anthony D. Williams, Wikinomics: How Mass Collaboration Changes Everything, Expanded Edition (London: Athlantic Books, 2008), 36. Pekka Himanen, The Hacker Ethic and the Spirit of the Information Age (Random House, 2002). 2Michel Bauwens and Sussan Rémi, Le peer to peer : nouvelle formation sociale, nouveau modèle civilisationnel, Revue du MAUSS, 2005/2 no 26, p. 193-210. 3This is the subject of one book but the book does not describe or examine the implementation of the theory, see Christian Siefkes, From Exchange to Contributions: Generalizing Peer Production into the Physical World. (Berlin: Edition C. Siefkes, 2008). 4 Yochai Benkler, Practical Anarchism: Peer Mutualism, Market Power, and the Fallible State, Politics and Society 41 (June 2013): 213-251. Clay Shirky, Power Laws, Weblogs, and Inequality. In Reformatting Politics: Information Technology and Global Civil Society, edited by J. Dean, J. W. Anderson, and G. Lovink, 35–41. (New York: Routledge, 2006). Clay Shirky, Here Comes Everybody. (New York: Penguin Press, 2008).